April 2, 2018 - Sonoco announced today the start of Robert C. Tiede's tenure as the new President and CEO of Sonoco. Tiede replaces the retiring Jack Sanders, who served as President and CEO since 2013. Tiede will be the ninth CEO of the 119-year-old company. Prior to being named CEO, Tiede served as Executive Vice President and Chief Operating Officer of Sonoco, with global leadership, sales and operating responsibility for all of the company's diversified consumer, industrial and protective packaging businesses. Since joining Sonoco in 2004, Tiede has led all of Sonoco's global consumer-related businesses, including Rigid Paper Containers, Flexible Packaging, Plastics and Display and Packaging. Before becoming Executive Vice President and COO, Tiede served as Senior Vice President, Global Consumer Packaging and Services since December 2012. Tiede joined Sonoco as president of Sonoco CorrFlex with the 2004 acquisition of CorrFlex Graphics' point-of-purchase merchandising display and supply chain management business. In 2006, Tiede assumed responsibility for Sonoco's global packaging services business, and in 2007 he was named division vice president and general manager of the Company's Flexible Packaging division. 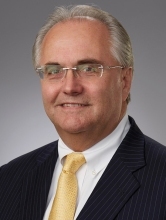 Prior to joining Sonoco, Tiede worked in private equity as president of Bostic Packaging/CorrFlex from 2000 to 2004 and president of Sterling International from 1998 to 2000. He also served as Executive Vice President of operations for Graphic Packaging International, Inc.'s flexible packaging division from 1994 to 1998. Tiede is active in industry and community organizations and is the outgoing chairman of the Flexible Packaging Association and the chairman of the Hartsville United Way. A native of Winnipeg, Manitoba, Canada, Tiede became a U.S. citizen in 2013. Founded in 1899, Sonoco (NYSE:SON) is a global provider of a variety of consumer packaging, industrial products, protective packaging, and displays and packaging supply chain services. To learn more, please visit: www.sonoco.com.